The rich history of Mexican Talavera pottery makes this vase a classic addition to any southwest, Spanish colonial or Mexican décor. 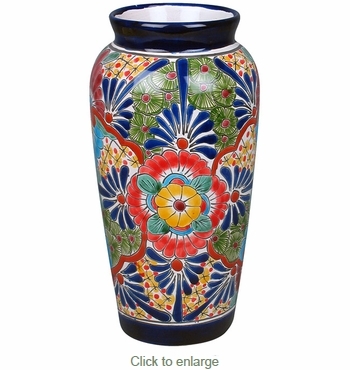 Add a pop of color to your niche or table with this Talavera vase. All of our Talavera pottery is handcrafted by talented artisans in Mexico.